Spring into Blackville School for a Fresh Read! The Blackville School Library will be hosting a Scholastic Spring Book Fair from April 16-18. On Monday and Tuesday the fair will take place from 9 am - 4:30 pm and Wednesday from 9 am - 4 pm. The Family Event will occur on Tuesday evening from 5 pm - 8:30 pm. A great variety of new popular titles for all ages K-12 will be available: mature reads, adult novels as well as our popular "Boutique," chock full of delightful gift items, unique educational tools and much more! The popular "Stop Bullying" bracelets will be selling for $1.00 each. As well, Scholastic is offering, for free, one plush "Calico Kitten Set" for a minimal purchase of $25.00. Don't forget to bring along the Family Event Ballot that is available inside or on the back of the Highlights flyer and enter for a chance to win the $50.00 student/classroom draw. Sales at the Spring Book Fair help the library. 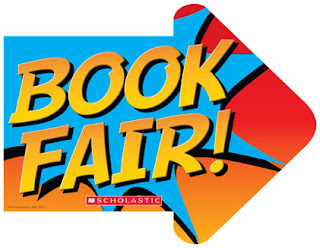 For every $10.00 spent at the fair, $6.00 goes back into the library for resources and materials. The public is welcome to attend and cash, cheques and credit cards are accepted. 2009-2019. Simple theme. Powered by Blogger.